Made in 1967, this is one of the earliest UK TV programmes to seriously examine Scientology. 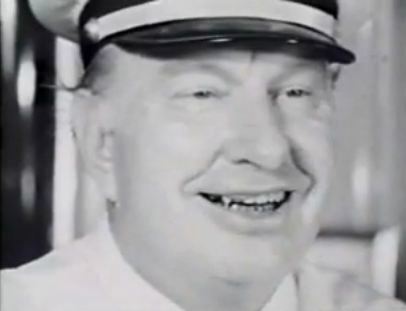 It was made by Granada TV, a long defunct regional commercial television company – and proved so popular that they followed it up, only a year later, with, “The Shrinking World of L Ron Hubbard” (below) a classic programme which included an extended interview with Hubbard, on the flagship of the Sea Org. It benefits from the fact that was a more relaxed period in Scientology’s history – practising Scientologists were interviewed, and freely expressed their opinions. This would not be possible today, and Scientologists who expressed themselves in this way would be likely to be severely disciplined. Voicever: Tonight, World in Action has tracked down one of the most elusive men on earth. The programme includes one of the very few interviews with Hubbard by outsiders. 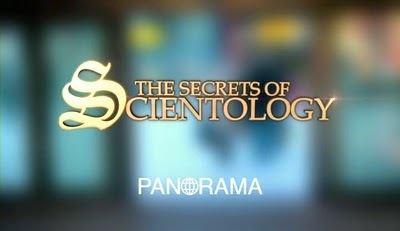 In 1987, the Panorama programme, Scientology: The Road to Total Freedom?, for the first time exposed on broadcast television the secret upper-level doctrines of the Church of Scientology, and featured an animated retelling of the Xenu incident (which forms the basis of the “Operating Thetan level Three” status) in Scientology doctrine. Use the link at the top of this entry to access the video and a written transcript of the programme. 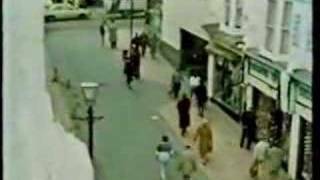 This documentary was made in 1987 by “Facing South”, a English regional television company. What makes it fascinating is very simple: despite all of the manifest cultural and technological changes that have taken place in the intervening 23 years (and counting) , the behaviour of the Church of Scientology has hardly changed at all – its obsession with money, and the policies of harassment and ‘disconnection’ (shunning parishioners who will not conform) are already fully formed. This incredible inflexibility is likely to be a major factor in it’s downfall. 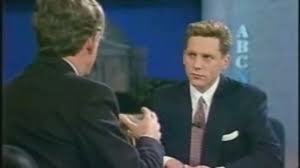 1992 Nightline (View Video) | Ted Koppel | ABC Television interview with David Miscavige. 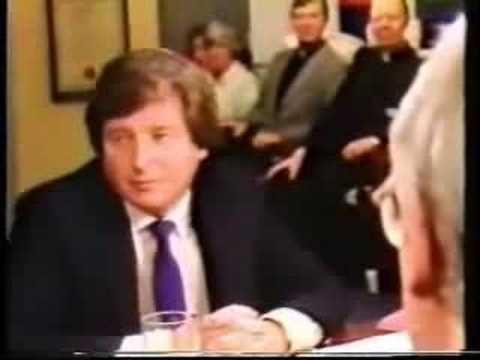 Koppel sent six months persuading Miscavige to give this, his first media interview. Despite the fact that Miscavige is reported to have prepared for every eventuality, the actual event was a calamity for him. Like Hubbard before him, Miscavige never gave another public interview. Even today, he only speaks in public when every aspect of the event is under his complete control. Carlton TV investigative reporter Ali Braund goes undercover with a hidden camera in the Poole organization (famously recording a ‘parishioner’ shouting at an ashtray as part of his ‘training’). Journalists also used other sources to make this landmark documentary about the The Church of Scientology. The Church of Scientology’s subsequent attempt to sue the programme makers and suppress the programme was dismissed as an abuse of the courts. This is an interview with Stephen ‘Sarge’ Pfauth Smith – one of only three people who worked closely with L Ron Hubbard while he was in hiding until he died in 1986. Believed that he was about to “Drop the body” (Scientology jargon for dying). Complained that he had “failed” in his ambitions. Tried to persuade Smith to modify an e-meter to deliver a lethal electric shock (presumably to provide Hubbard with a means of painless suicide). Smith produced a device designed to shock and frighten Smith instead, which Hubbard subsequently used (and survived). A television biography of L Ron Hubbard, informed by extensive interviews with people who witnessed crucial events of his life – including inside accounts of the original ‘Sea Org’ a bizarre private navy consisting of redundant merchant ships. Critics suggest that Hubbard ‘went to sea’ like this in order to avoid arrest for his part in “Operation Snow White”, a Scientology ‘intelligence operation’ which involved subverting government records. There is a complete transcript included in the post which contains the video (click on the title above). Edit: Since this post appeared, a considerable number of unused interviews, which had been made for this programme, have been leaked. These now have considerable historical value, so I have been adding them as they appear. Consequently, this is now one of the longest posts on this blog. A documentary about Scientology’s Rehabilitation Project Force (the RPF) produced by Peter Reichelt and Ina Brockmann for German television. It is dubbed into English. 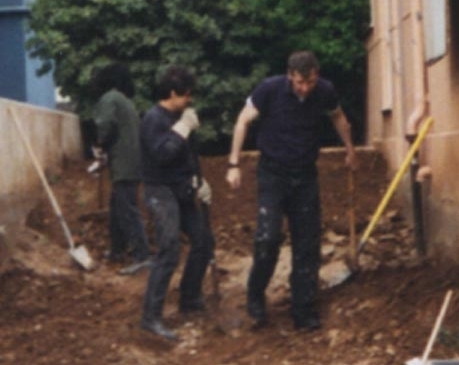 Scientologists in the Sea Org who have offended the organisation are required to do manual labour for long hours with minimal nutrition in order to make amends. Normally this takes place within Scientology organisations. The ironically named “Happy Valley” is a dedicated RPF site in California – a combination prison and labour camp which houses not only adults but also children. Scientology claims that working in these camps is a free choice on the part of members who seek redemption for ‘religious’ failings. Critics observe that there is, in fact, not only a coercive element (people are “assigned” to the RPF and have no choice between participating or leaving Scientology) but the number of those ‘assigned’ increases whenever cheap labour is required for a Scientology project. The subject of the RPF is covered in the sociologist Stephen A Kent’s paper ” Brainwashing in Scientology’s Rehabilitation project force (RPF). There is a written transcript of the dialogue in this programme included in the post containing the video, which is linked to above. This is not a great film (for various reasons given below). It deserves exposure, however, because of the astonishing way in which it was suppressed. 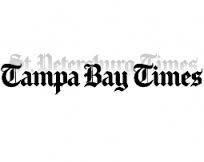 “The Profit” was to be released at the same time as the Church of Scientology was appearing in court, accused of causing the wrongful death of Lisa McPherson . The Church claimed that release of the film may influence the jury in that case, and should be delayed until the trial was over. In 2002, US Senior Circuit Judge Robert E. Beach agreed. However, he did not stop there. In an absolutely unprecedented move, he crossed out the proposed language limiting the scope of the injunction to the geographical jurisdiction of his court so that it applied worldwide. The Lisa McPherson case effectively ended in 2005, and the injunction was lifted in 2007. However, in the intervening time, the company formed to make the film had derived no revenue from it, and the Church of Scientology had seized effective control of it. Unsurprisingly, it has never been released. Consequently, the “Disinformation Book of Lists”, and the British newspaper “The Times” characterise it as a ‘banned film’. What Do the Exclusive Brethren Have to Teach us About Scientology? This documentary film is an examination of an extreme Christian sect which separated from The Plymouth Brethren . When it was made, these people were known as “The Exclusive Brethren“. Their core belief is that worldly things are of the devil and that, to be redeemed, they have to withdraw from the world. This is why the windows in the image to the left have been bricked up. It is an Exclusive Brethren Church, and they do not have windows, in order to exclude a view of the sinful world outside. They appear here because their practice of ‘dis-fellowship’ or ‘exclusion’ closely parallels the Scientology practice of ‘disconnection’. Disconnection is one of most controversial of Scientology practices. If a Scientologist defies the Church, other members (including family) are ordered to send them a formal letter stating that they will not communicate with them in any way until they relent, and do the penance required to be restored to good standing. This policy has separated husbands and wives, and estranged parents from their own children. The threat of disconnection is a powerful disincentive to internal dissent. Although the story (following an individual’s recruitment, into Scientology, and their subsequently involvement and disillusionment) is fictional the film explicitly uses Scientology terms throughout. It also includes clips from real, contemporary Scientology promotional and training videos. It was released as free use media to the Internet in September 2006 by the film maker. The fact that the film accurately depicts the way people talk and behave within Scientology orgs provides some insight for outsiders – providing they have studied the cult sufficiently closely to understand what is going on. 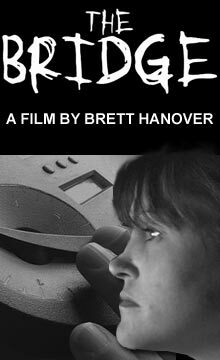 The brochure of the Indie Memphis film festival stated that The Bridge was the “first feature film” about the Church Of Scientology. A television documentary broadcast 14 May 2007 as part of the BBC’s Panorama series. Reporter investigative journalist John Sweeney visited the United States to investigate whether the Church of Scientology was becoming more mainstream. During the course of his investigation, Sweeney is shouted at, spied on, visited in his hotel at midnight and chased around the streets of LA by strangers in hire cars. The series covered Voodoo, Evangelical Christianity, Hinduism, Islam and L Ron Hubbard. Kohli (who describes himself as a “secular Sikh)” was well-know for his varied career as a stand-up comedian, writer and broadcaster, and was selected to present the final programme, about Scientology. Kohli was refused access to Saint Hill (the Church of Scientology in England declined to participate, stating that they found in insulting that a comedian had been selected to present the programme about them). This was a misguided attitude, as he actually takes his role seriously, and would probably have given them a fair hearing, not to mention an opportunity for national publicity. The programme then becomes a sort of road trip, travelling Moscow and Munich in search of believers who will participate. He finds these in the “Free Zone” an association of Independent Scientologists. His interaction with these people include his attempts to produce a ‘clay demo’, Training Routines’ and detailed demonstrations of “Auditing” (the first on British television). 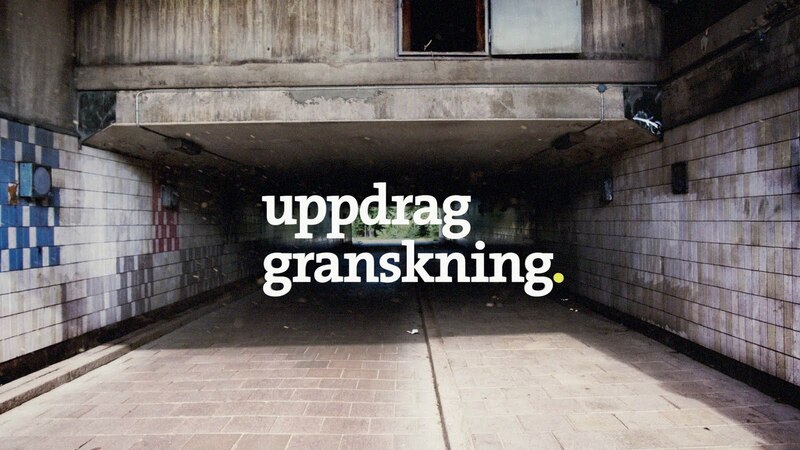 “Uppdrag granskning” (Literally “Mission: Investigation”) is a Swedish television programme specialising in investigative journalism. They are known for secret filming using hidden cameras and microphones when more direct approaches would be unlikely to uncover the truth. This (subtitled) programme investigates the activities of Scientology in Sweden, concentrating on the covert activities of its many front groups – principally Narconon and the “Citizens commission for Human Rights” (an anti-psychiatry organisation). It is an excellent, well-researched and executed, example of investigative journalism. 2009 | The Brainwashers – How Dangerous is Scientology? This is a documentary film that appeared on the German television station ARD in January 2009. On YouTube, you can switch on English subtitles by clicking the second icon in the row on the bottom left (the one that looks like an addressed envelope) and select ‘On’ in the box that pops up. To make hide this box, click anywhere on the screen. It contains extensive footage of Tom Cruise promoting the film “Valkyrie” – and the Anonymous protesters who appeared at both the New York and Berlin premier’s. The occasional combination of English –> German voice overs with German –> English subtitles can get confusing, but it’s well worth the effort for the insight this documentary gives into the influence of culture and history on attitudes towards Scientology. This video includes accusation made against the church’s leader, David Miscavige, by ex-Scientologists that he is verbally abusive, and sometimes physically violent towards staff. 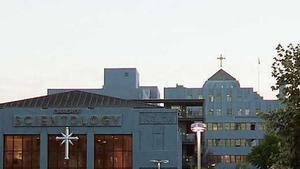 In the latter half of the programme, Church spokesman Tommy Davis was interviewed by Nightline’s Martin Bashir and given an opportunity to present the Church of Scientology’s response. When Bashir asked Davis about the church’s alleged secret core beliefs that have been divulged by former Scientologists, Davis took theatrical offence, eventually walking out in the middle of the interview, tearing off his microphone and throwing it on the floor. This is a German television production. English-language captions are available – to see them, start the video, then click on the ‘Captions’ icon at the bottom-left of the You-tube window (it looks like an addressed envelope). Until Nothing Remains is a fictional film depicting a story about Scientology and its effects upon converts. In the film, a young couple are brought into Scientology by means of manipulation. Eventually, the husband decides to leave the group, losing not only his wife in the process, but also his young child and a big portion of his family’s inheritance, which his wife has donated to the church. The film is reportedly based on the real-life experiences of a German man named Heiner von Rönn. BBC investigatve Journalist John Sweeney returns for another look into the Church of Scientology. You might have though the Church of Scientology had learned from Sweeney’s last outing, but you would be wrong. There is even more stalking, intimidation and private investigators this time around. What makes this piece particularly interesting is the presence of Mike Rinder, a former top spokesperson for Scientology who has now left the organisation. He talks to Sweeney about what went on behind the scenes during the last Panorama investigation. 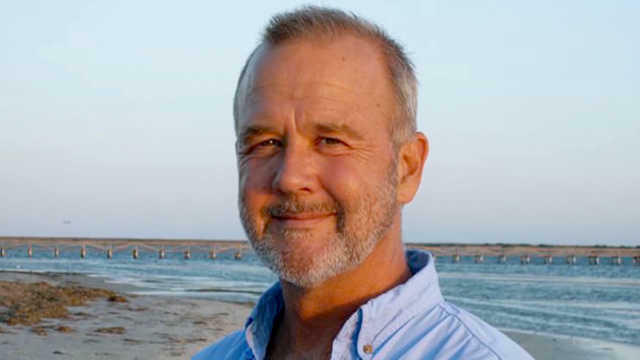 Scientology’s highest-level defector, Marty Rathbun was the Inspector General of Ethics in the organisation. Rathbun worked closely with its leader, David Miscavige and celebrity follower Tom Cruise. Now he lives in small town America, subject to bizarre harassment from his former ‘Church’. This harassment and the events which led to it are recorded in this documentary. It is now the subject of a (potentially ground-breaking) court case in the United States between Rathburn’s wife (who was also persecuted) and the Church of Scientology. Jim Lippard speaks on the history of the Church of Scientology, how it has collided with the Internet and lost control of its secrets and its membership, and is now seeing an accelerating decline as its top members leave for new alternatives. 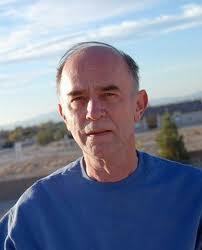 Jim Lippard founded the Phoenix Skeptics in 1985, and co-founded the Phoenix Area Skeptics Society in 2011. He’s written articles and book chapters on skeptical topics, including two articles in Skeptic magazine on Scientology, “Scientology vs. the Internet” in 1995 (co-authored with Jeff Jacobsen) and “The Decline (and Probable Fall) of the Scientology Empire” in 2012. He also contributed to Gordon Stein’s Encyclopedia of the Paranormal and Joe Nickell’s Psychic Sleuths. This post contains links to a docu-drama version of Nancy Many’s 2009 memoir “My Billion-Year Contract“, a book in which she describes her 27-year involvement with the Church of Scientology. Many worked directly with L Ron Hubbard and participated in an official programme which detailed Scientologists to infiltrate the offices of perceived enemies where they gathered intelligence and interfered with records (planting counterfeit documents and stealing existing records). Many actively participated in this program, infiltrating a psychiatrist’s office and stealing patient’s records. The dramatised scenes are interspersed with excerpts from interviews with Many, in which she explains Scientology’s rationale for directing these illegal acts and her motivations for following those orders. “America’s Book of Secrets takes a look at the hidden origins, strict doctrine, secret language and celebrity allure of the organization and how it dominates the lives of its followers. Jenna Miscavige Hill, niece of Scientology’s current leader, David Miscavige, describes her difficult experiences and escape from the organization. Raw Story’s Tony Ortega explains the draw and appeal of Scientology that allows them to recruit new members and keep their coffers full”. “Church Secrets and Legends” is a series of42-minute programmes which cover the weirder, darker side of a number of churches and religious organisations. Each episode presents a variety of stories. This one begins with 8 minutes about Scientology. The download contains the entire programme in HD, and the streaming link only the Scientology segment. The Scientology material includes a potted history of the Church (including excellent ‘dramatised’ scenes using actors to play Scientology’s founder, L Ron Hubbard and some of his early followers). It includes the Church’s secret teachings about ‘Xenu’ and its spying activities (including ‘Operation snow White’). It also discusses Scientology’s obsessions with celebrity and money, and interviews prominent critics who conclude (without rebuttal from the Church) that the organisation is collapsing. There is nothing new presented here – what it interesting is that such a programme can now be broadcast without it’s creators being deterred by the Church of Scientology’s fearsome reputation for litigation and extra-legal persecution of critical presentations like this. This programme is the second in the “Dangerous Persuasions” series which deals with Scientology. The first was, “My Eternal Contract“. 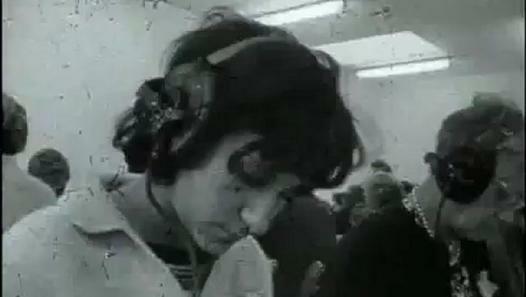 Broadcast in 2013, this was a dramatisation of Nancy Many’s 2009 memoir “My Billion-Year Contract“, a book in which she describes her 27-year involvement with the Church of Scientology. This programme treats the experience of Mark “Marty” Rathburn in very much the same style – it begins with his recruitment (which he presents as motivated by a desire to learn how to help his mentally ill brother). It then covers his rise to the position of right-hand man to the present ‘leader’ of the Church, David Miscavige – and his fall from grace (he is attacked by Miscavige, and then effectively imprisoned in a Scientology compound) . Finally it presents his dramatic escape on a motorcycle, by accelerating through a security gate as it is closed after a car. 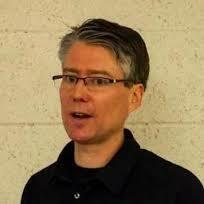 Subsequently, Rathburn has been the subject of extraordinary persecution by members of the Church of Scientology. 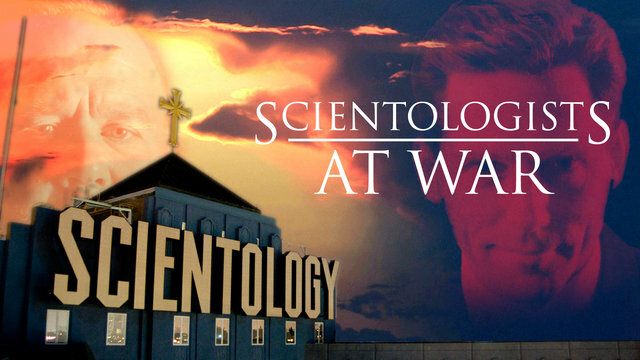 One of the more blatant episodes is documented in the programme “Scientologists at War“which was broadcast in 2013. This persecution is presently the subject of a court case, in which Church of Scientology has argued that this behaviour is an expression of religious belief protected by the first amendment to the US constitution.